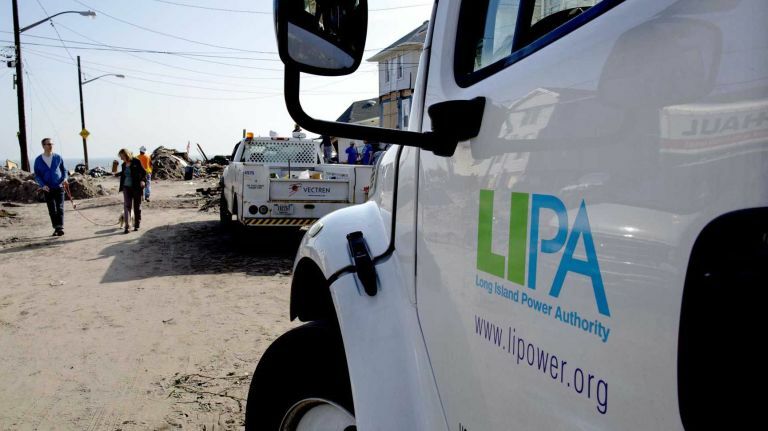 East Hampton Town has joined a lawsuit brought by a citizens group in 2014 against the Long Island Power Authority and PSEG-Long Island over the installation of high-voltage transmission lines and poles along a six-mile route from East Hampton Village to an Amagansett substation. The lawsuit seeks to have the utility companies remove the poles and bury the electric lines underground. The 33-kilovolt lines, attached to 267 wooden poles that are thicker and taller than standard utility poles, run from an East Hampton Village substation along village streets and east along Town Lane to an Old Stone Highway, Amagansett, electric substation. Concern about the proximity of the lines to residences, and about the potential for soil and water contamination by the chemical pentachlorophenol, called penta, which was used to treat the wooden poles, prompted outcry and discussion when PSEG, the electricity provider for LIPA, began the project. 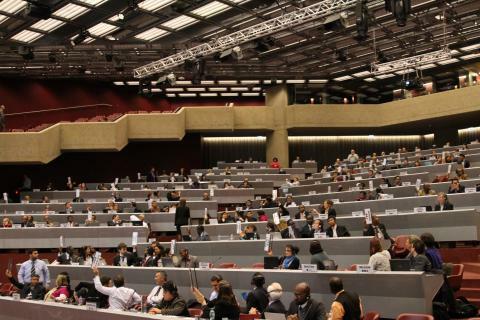 The chemical is banned in many places worldwide. 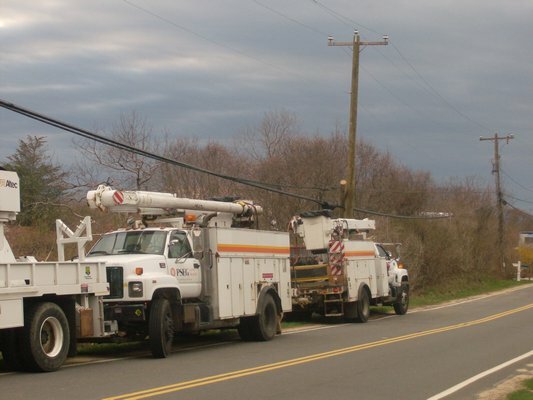 East Hampton Village and town officials got involved, but PSEG refused to bury the lines underground unless the municipalities, or their ratepayers, shouldered the entire cost. The project went forward to completion. 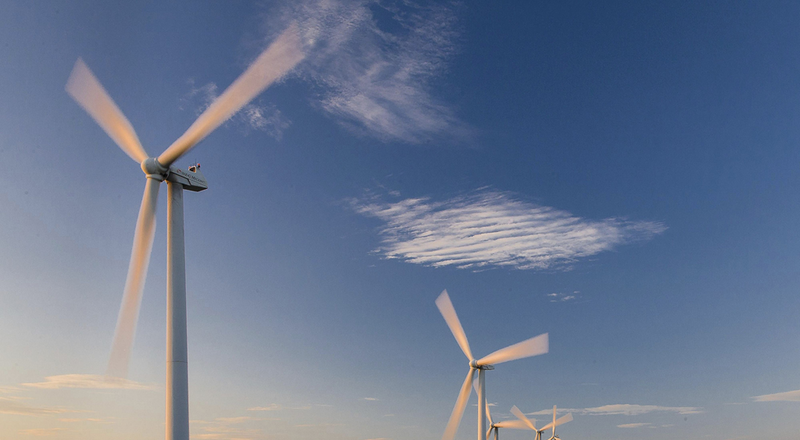 Among some 20 original plaintiffs in the lawsuit are members of a local group called Long Island Businesses for Responsible Energy, or LIBFRE. 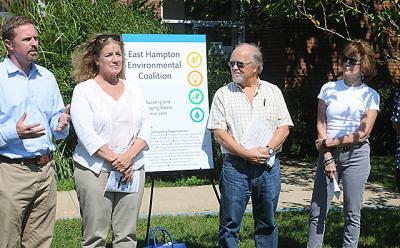 “We hope the town’s decision to join this fight will help convince PSEG-LI and LIPA to stop poisoning our land and water resources,” Helene Forst of East Hampton, the chairwoman of LIBFRE, said in a recent press release. The lawsuit claims that the potential impacts to the environment of the project were not properly considered, according to law, and seeks to have the utilities clean up soil contaminated by leaching penta. “I’m pleased that the town has decided to join with us in the fight . . . to protect the residents of the town,” Stephen Mintz of Mintz and Gold, the chief counsel for the plaintiffs and a part-time East Hampton resident, said yesterday. Information-gathering, in the discovery phase of the suit, is ongoing, he said. In August 2015, Acting Supreme Court Justice Andrew G. Tarantino Jr. refused a motion by the defendants to dismiss the case. He dismissed several of the plaintiffs’ claims, including one based on alleged negative impacts to property values, but upheld those regarding the environmental assessment process and others based on potential leaching of penta into the soil and air, and possible negative impacts of electromagnetic transmissions from the high-voltage lines. According to a resolution passed by the town board on Dec. 21, Mintz and Gold will represent the town in the lawsuit on a contingency basis, with no fees due from the town unless an award is made as a result of the litigation.